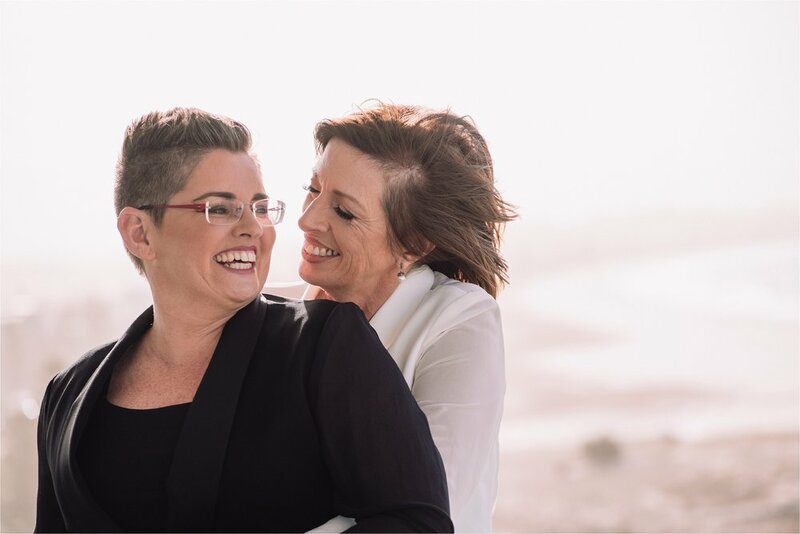 After many years together this loving couple were so excited to be able to legally marry. 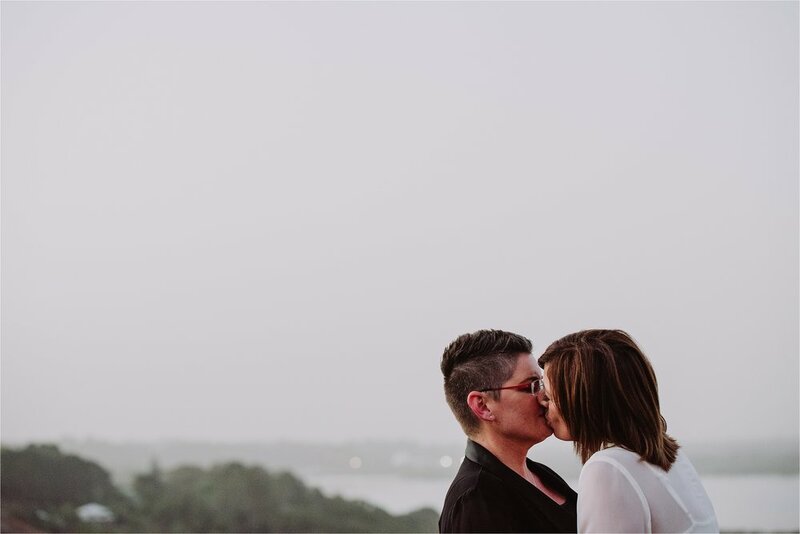 Liz and Lisa chose an intimate low key home wedding at their beautiful house in picturesque Northern NSW. 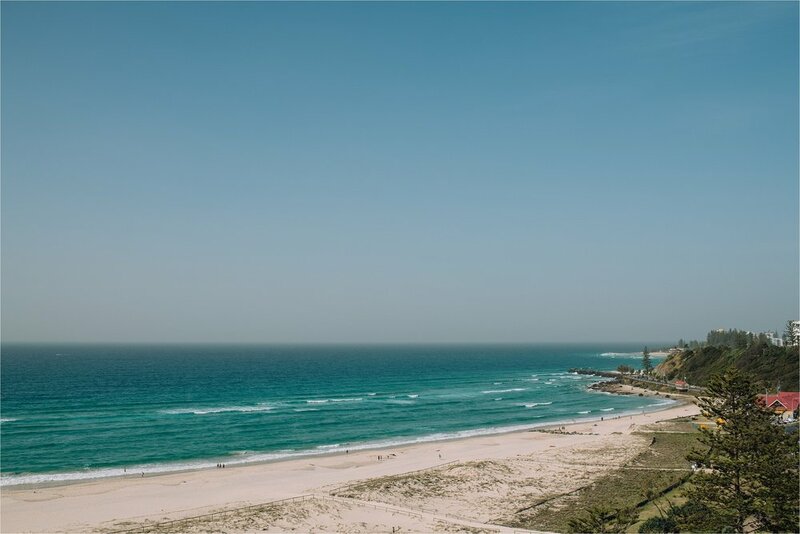 They chilled out the wedding morning and got ready at Nirvana by the Sea at Coolangatta with amazing views of the beautiful Gold Coast coastline. Some celebratory drinks before the wedding with best friends and enjoying the view from their room. 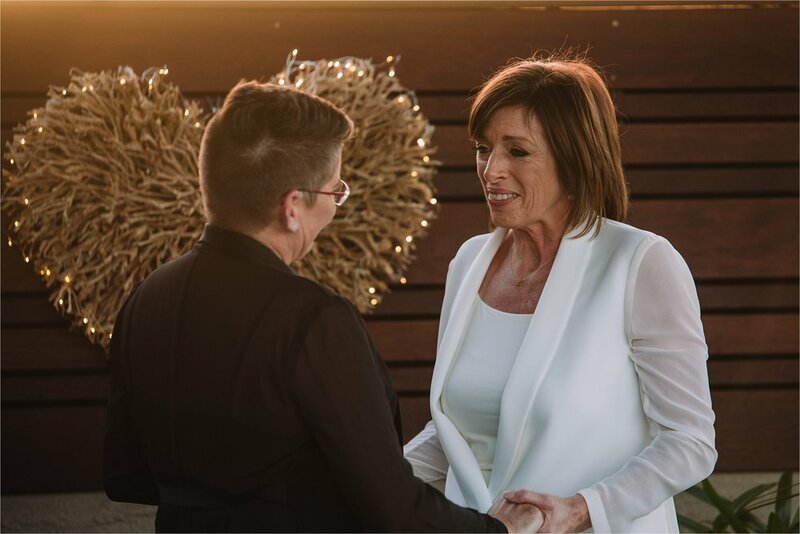 Lisa & Liz looked so stylish in their matching black & white Carla Zampatti chic suits. 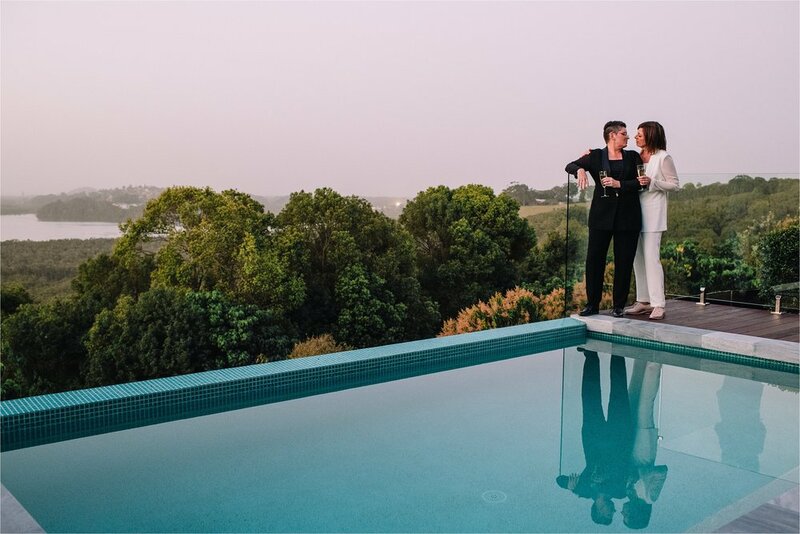 The wedding venue was Liz and Lisa’s beautiful house. 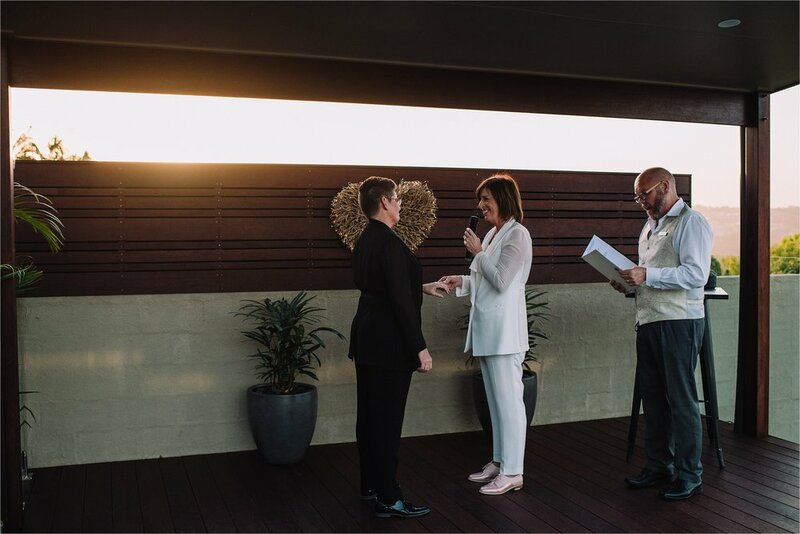 The ceremony was held on the pool deck, officiated one of their dearest friends, Stephen Oldman, who also happens to be a celebrant. Their precious Cavoodle, Ringo, was their offical ring bearer and stole the show with his cuteness. 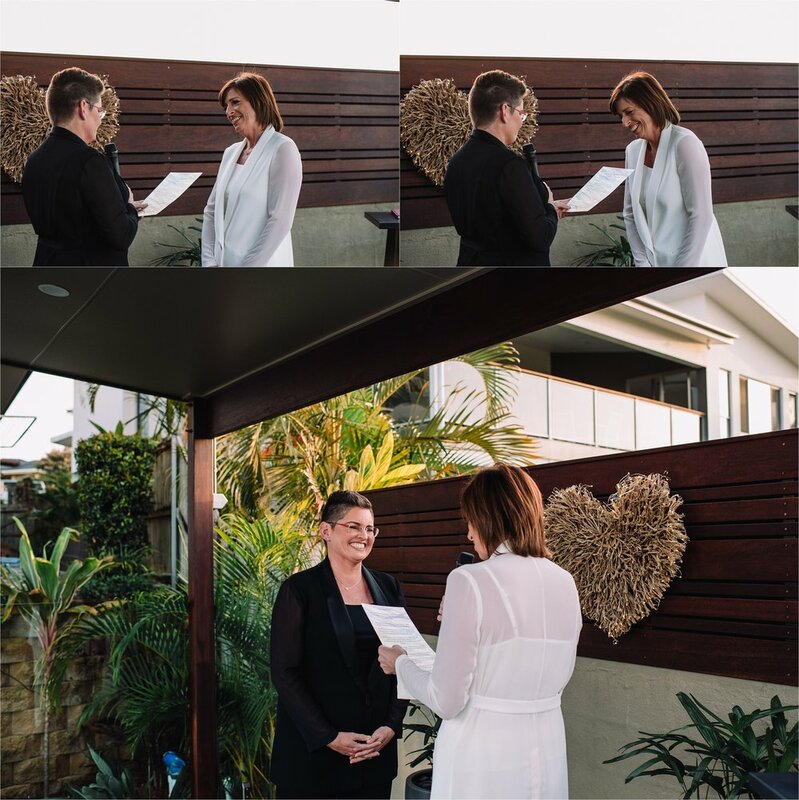 Their ceremony was very emotional, swaying from hysterically funny to deeply moving. This deserved a spontaneous dance to celebrate and hugs all round! Bride & Bride photo time. We took 10mins to capture some photos around Lisa & Liz’s backyard. 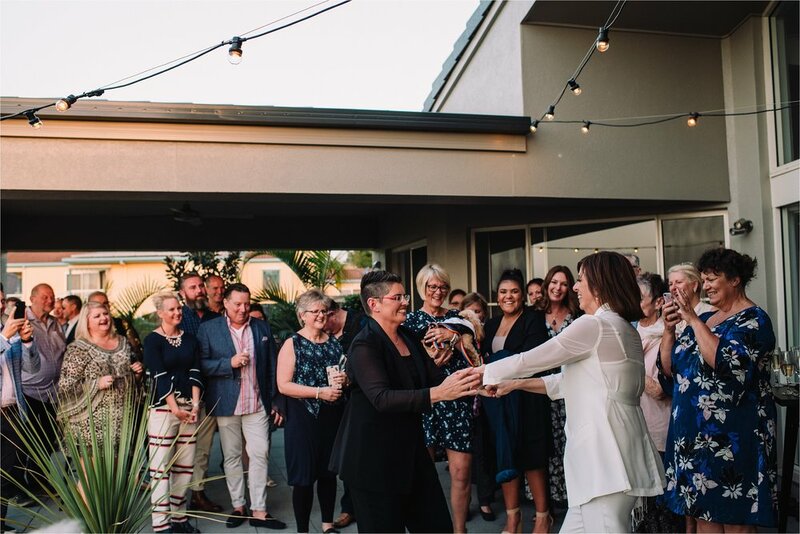 Lisa & Liz then effectively had big dinner party in their home to celebrate with good food, wine and friends.